Oil prices slipped in Asian trade on Monday on a strong dollar and signs that global crude supply is holding up even as volumes hit by unplanned outages rise to at least five-year highs. In a further indication of abundant supply, the number of rigs operated by U.S. drillers was steady last week for the first time this year. Brent futures LCOc1 were down 18 cents at $48.54 a barrel as of 0421 GMT, after ending the previous session 9 cents down. 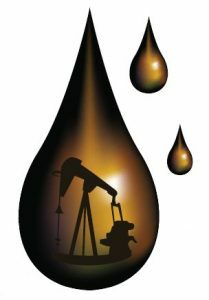 U.S. crude futures CLc1 fell 26 cents to $48.15 a barrel, having settled down 41 cents in the previous session. The dollar index .DXY was marginally lower in early trade on Monday after gaining for a third straight week last week. A stronger greenback makes dollar-priced commodities more expensive for holders of other currencies. That came as U.S. crude rose 3.3 percent last week, while Brent was up 1.7 percent, as unplanned supply outages rose to the highest since at least 2011 due to wildfires in Canada and losses in Nigeria, Libya and Venezuela. But global oil supply has still outstripped demand by around 1.5 million barrels per day, Russian Energy Minister Alexander Novak said on Friday. “It’s hard to trade with the current volatility in oil prices,” said Jonathan Barratt, chief investment officer at Sydney’s Ayers Alliance. “We’ve run up from $44 a barrel on economic growth and outages. Are we now at the top end? Does that mean at $49-$50 a barrel we’ll get U.S. oil shale production starting up?” he said. Meanwhile, Goldman Sachs said it expected (shale) productivity gains through 2020, which will push average breakevens for shale plays below $50 per barrel for U.S. crude, the bank said in a research report on Monday. It also raised its average Brent forecast to $45 per barrel this year, up from $39, while West Texas Intermediate would average $45 per barrel this year, up from $38 previously. But greater U.S. and OPEC supply meant it lowered its forecasts for 2017, with an average of $55 per barrel for Brent, from $60 previously, and $53 per barrel for WTI, against $58 earlier. Elsewhere, Iran plans to increase oil export capacity to 2.2 million barrels by the summer and has no plans to freeze its level of oil production and exports, its deputy oil minister was quoted as saying. A meeting of the OPEC exporters’ group, including Iran, is scheduled for June 2.